From the noun "mandra" the Latin-speaking Sardinians coined the verb "In Mandrare", in current Sardinian "Immandrare or Ismandrare" (to close in). From the same root there is also the adjective "Mandrone" (lazy, lazybones). Literally the adjective "Mandrone" could be translated as "someone who spends his time locked up" (doing nothing); with centuries this adjective has become a synonymous of "lazy, lazybones". Last edited by Homine.Sardu on 2019-03-31, 8:18, edited 3 times in total. Two words I'm surprised to find are not cognates: quail (n.) and quail (v.). I'd always assumed the verb was derived from the noun (i.e. "acting in a way similar to a small skittish game bird") but they're from entirely distinct sources. The noun is an onomatopoeia coloured by the PIE root for "quail" and thus related to German Wachtel, Ancient Greek ὄρτυξ, etc. The verb, on the other hand, is from PGmc *kwelaną "suffer" and, thus, is cognate to German quälen "torture", Swedish kvälja "arraign", etc. Here's an unexpected pair: Catalan ble "wick" and Welsh blaidd "wolf". Telugu has borrowed so many words from Hindi/Urdu it's even ended up borrowing [z] from it (and the whole [z] ~ [d͡ʒ] alternation). The word for "today" in many languages of northern Italy comes from Latin hanc horam (this hour). 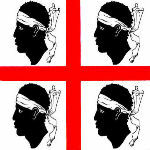 (e.g: Venetian: ancò, Ladin: anché, Ligurian: ancheu, Piedmontese: ancheuj). From hanc horam Italian got ancora (still/yet) and according to some sources, from ancora we got anche (also), although I kind of struggle to see the logic that got us from "still" to "also". Can't ancora and anche both mean 'even'? vijayjohn wrote: Can't ancora and anche both mean 'even'? "Even" would be persino/perfino or addirittura. It just dawned on me that yeah, there is (at least) one instance where "even" is translated as ancora, namely: even more---> ancora di più. I can't really think of other ones though. Ancor(a) meglio che sia così! It's even better if it is so! EDIT: Well, okay, I guess that's basically what you were saying. But still...is it still hard to see how ancora and anche might be semantically related? These are both obviously borrowings of English cheque. The amusing transposition of vowels stems from the quirks of their respective orthographies: <i> is the only vowel which indicates palatalisation of <s> in Welsh so it needs to be inserted here before <e>. Both <e> and <i> are palatal vowels in Irish ("slender" or "caol" in native terminology) but for some reason <e> alone isn't sufficient to indicate a following consonant is palatalised in Modern Irish so an <i> needs to be inserted after it. What I find particularly confusing, however, are the gender assignments. Masculine is the unmarked gender in Welsh so I would expect siec to be masculine. It isn't, though, it's feminine and I have no idea why. Meanwhile, I would expect seic to be feminine since almost all words ending in a slender consonant in Irish are, but it's not, it's masculine! Despite knowing both words for ages, I never made the connexion that Welsh yfory and Irish amárach were cognates. The link between yfory and bore "morning" is pretty obvious, but the corresponding Irish word bárach is archaic, so it never occurred to me that amárach represents a respelling of i mbárach (lit. "in morning"). This is a word borrowed from Persian into Arabic, not the other way around.